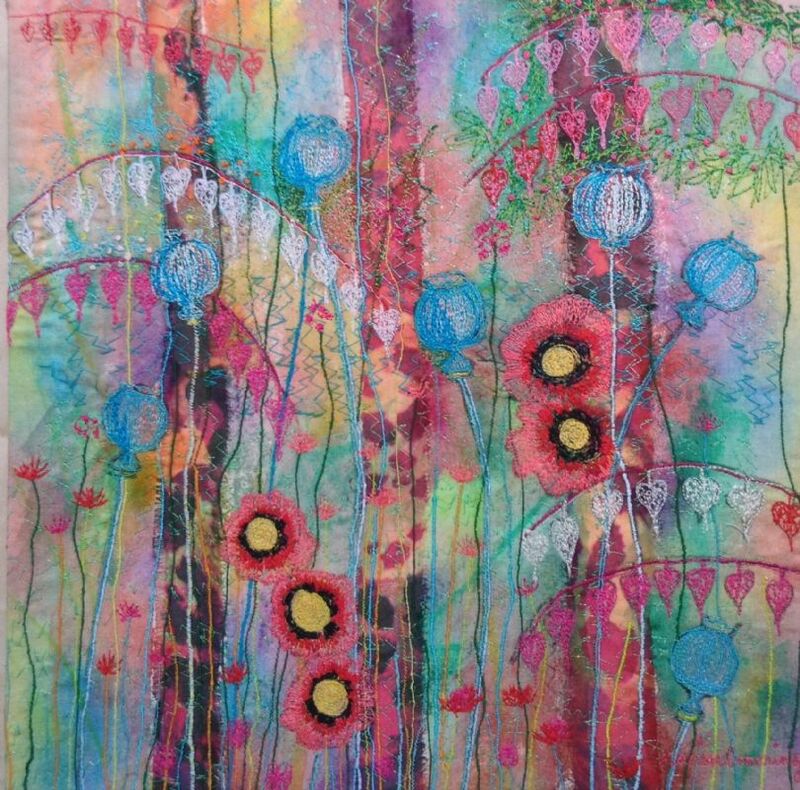 Poppy Heads and Dicentra - Textile Art by Marion Browning.B.A. hons. Paint on fabric, collage and stitch.